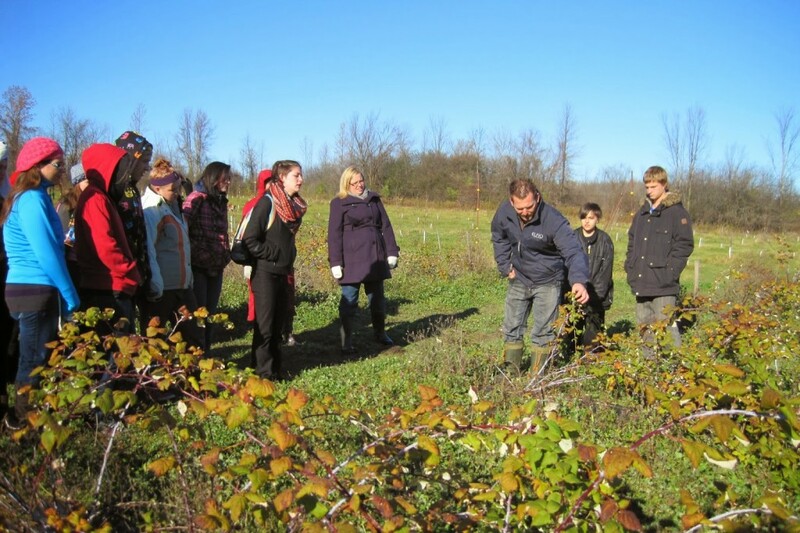 In 2013, thanks to a grant from the Ontario Trillium Foundation, All Things Food / Bouffe 360° has partnered with Canadian Organic Grower’s Growing Up Organic Program to provide Farm-to-School programming in SD&G. Growing Up Organic’s Farmgate Cafés and School Garden Programming are now available to schools in SD&G and Prescott-Russell. Learn more about the program below! For information on past Farm-to-School Programming offered by All Things Food / Bouffe 360°, click here. What is the Growing Up Organic Program? Growing Up Organic, a program of the Ottawa–St. Lawrence–Outaouais Chapter of Canadian Organic Growers, has expanded to Stormont, Dundas & Glengarry! Growing Up Organic (GUO) has already supported the development of 31 school garden programs in the Ottawa area. Growing Up Organic is now able to support SD&G schools that want to explore the unique learning possibilities associated with having a vegetable garden on school grounds. Free consultations with school teams considering adding an organic vegetable garden to their school. 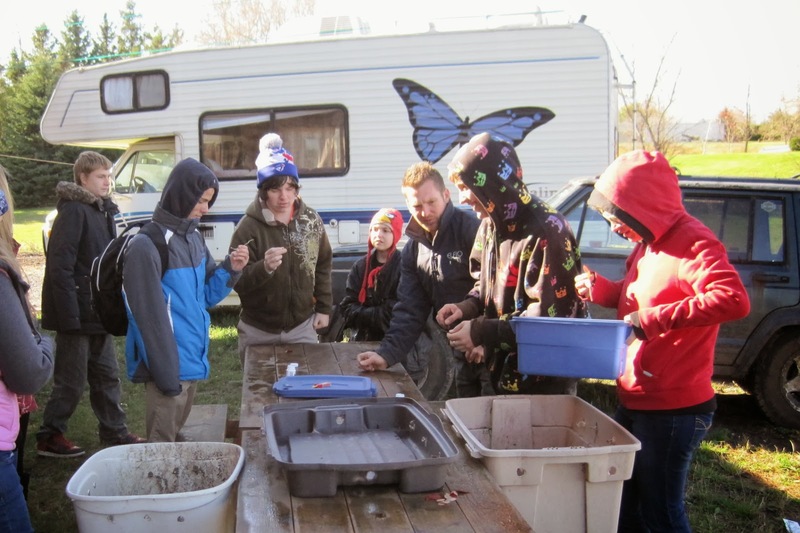 Curriculum-connected garden-based workshops: Spring and fall garden-based workshops, delivered by GUO staff, each connected to grade specific curriculum expectations and necessary garden tasks such as starting seedlings and transplanting. Ongoing support for connecting the garden to the classroom. For example, workshop material and connection to a network of others working towards enhancing garden-based education and getting healthy food into schools. In addition to the school vegetable garden program, GUO in SDG will support the facilitation of organic farm field trips and follow-up cooking workshops, beginning in the fall of 2013. Interested teachers, parents, or community members can contact the SDG Project Coordinator, Hazel Nicholls, for more information and to discuss getting started with a vegetable garden or farm visit! If you’re interested in getting regular updates from Growing Up Organic, sign up for their email list here. 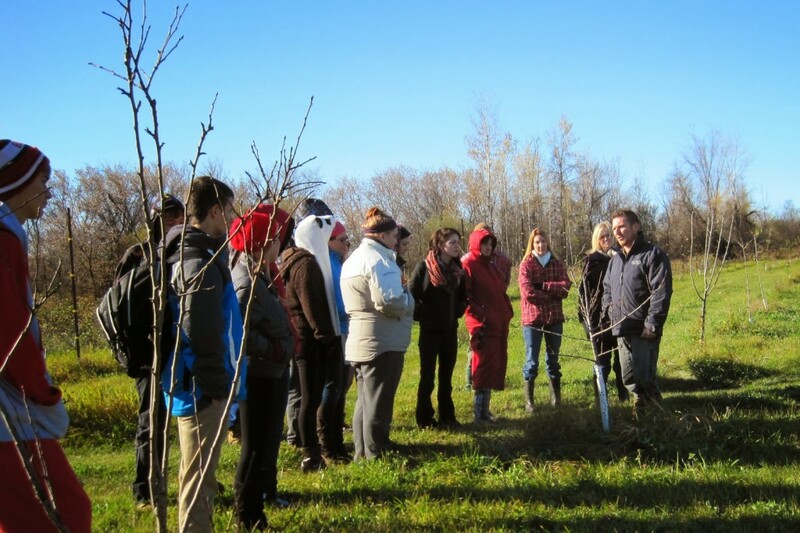 Canadian Organic Growers’ Ottawa-St. Lawrence-Outaouais chapter, in partnership with All Things Food, can help facilitate school field trips to local organic farms through the Growing Up Organic (GUO) project. These educational visits allow students to gain an understanding of organic food production and what it means to farm organically. A follow-up cooking workshop, led by a local chef or nutritionist, using ingredients harvested or purchased at the farm, completes the cycle from farm to plate. Typical visits include a tour of the farm property as well as the opportunity to engage in hands-on farm work. In the fall, students might help with the harvest, seed saving, or preparing the soil for the winter. These visits give students the opportunity to learn more about their food system, the benefits of sustainable food production and supporting their local economy. What happens at the follow-up cooking workshop? With the help of a local chef or nutritionist, students prepare a healthy recipe using ingredients purchased at the farm. Students are able to appreciate the care and creativity both on the farm, and in the kitchen, that goes into a healthy meal. After seeing the produce on the farm, and participating in its preparation, many students keenly sample new vegetables and can be set up for a lifetime of healthy eating. With support from the Ontario Trillium Foundation, GUO is able to cover the costs of honoraria for farmers and chefs/nutritionists. Schools are responsible for arranging transportation to and from the farm, and for the purchase of ingredients (usually less than $50) used in the follow-up cooking workshop. Organic Farm-Gate Cafés are happening in Eastern Ontario in October 2013. To learn more about how an experience can be tailored to your class please contact Hazel Nicholls.